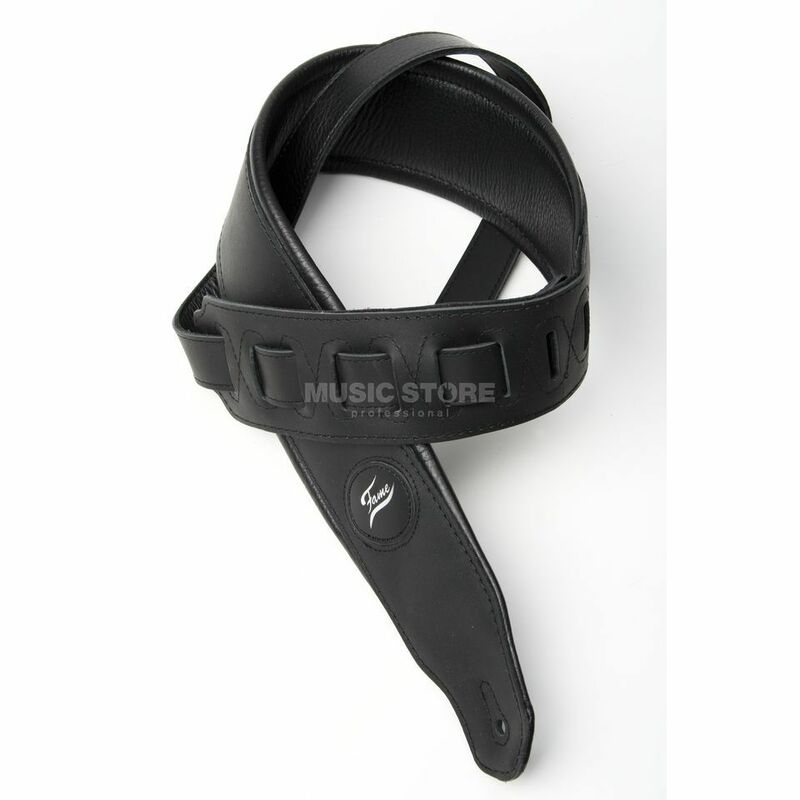 The Fame 653 Bass Guitar Strap Black is a comfortable and affordable leather strap choice for all bass players. I bought this strap with my Höfner ignition bass. I struggled a bit when attaching the strap to the guitar: the leather is nice and rather thick so it has to be worn in like a new pair of shoes. But you put it on and...yes, incredibly comfortable. The only thing I didnt like was the red circle with the Fame logo. The catalogue shows a black circle (goes better with the sunburst finishing of the bass). This strap responds to all needs. Its durable, resistent and comfortable. Suits well for all guitar finishes. It is easy to set and its washable. The only issue is that it could be a little bit longer. Trully recomend.